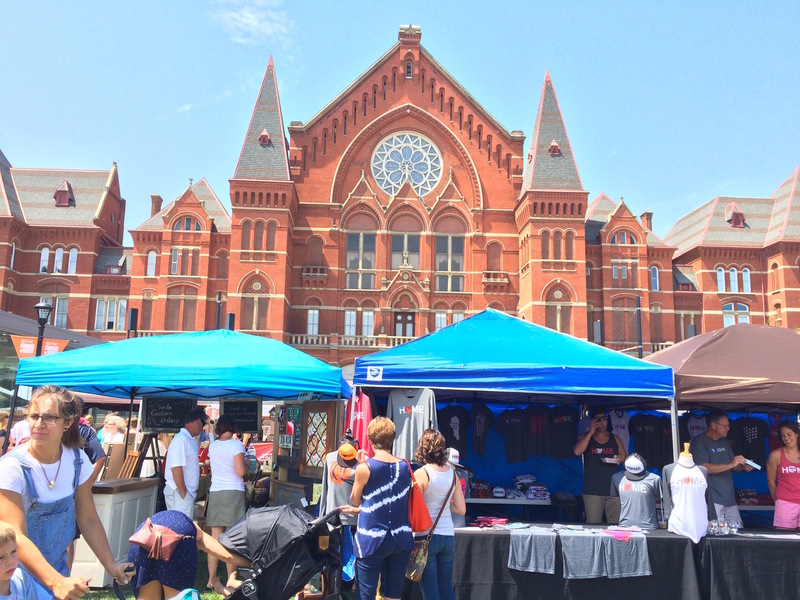 City Flea- Washington Park – Go There. Try That. 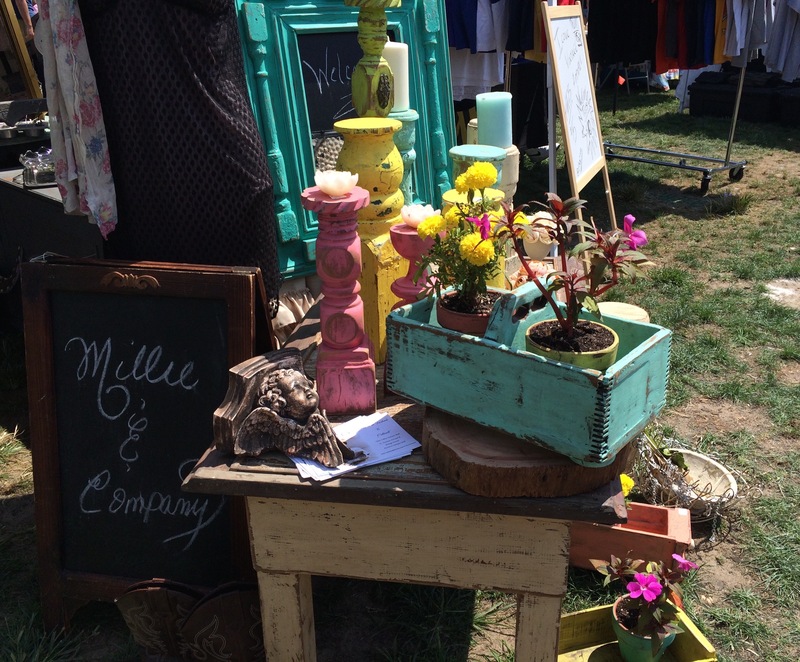 This post is a quick shout out to City Flea held in Washington Park in Over the Rhine. I’m a huge fan of City Flea and this Saturday, May 19th, is the first summer flea of the season! City Flea opens at 10 am and closes at 4 pm. Honestly, it’s one of my favorite Cincinnati activities. It’s just a cool way to experience Cincinnati! 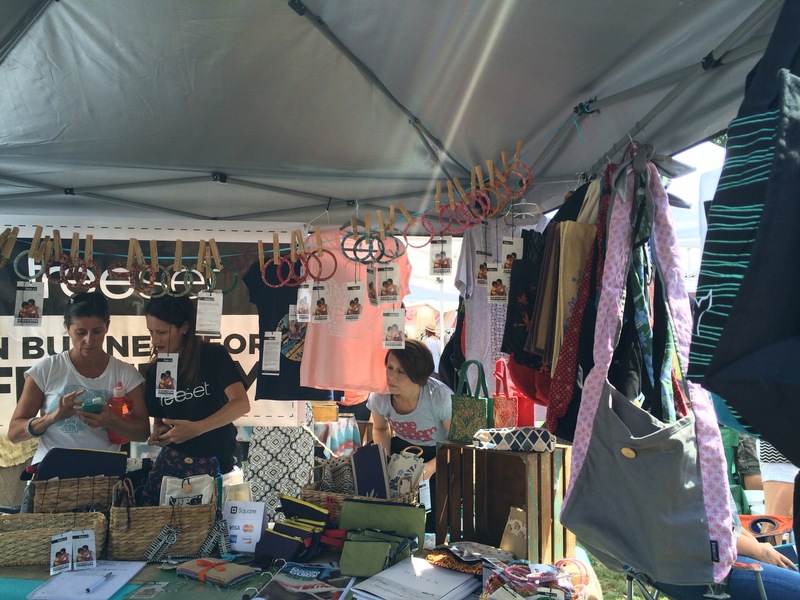 In case you’ve never been, City Flea is a large, urban flea market with local vendors selling everything from clothes to crafts, home decor to jewelry, soap to skin products, locally made sweets to specialty snacks, and much more. If you prefer vintage, it’s there. If you like modern and new, you can probably find it. If you try to shop fair trade, you’re covered. Freeset is such a great cause! Your dollars directly employ women rescued from slavery! 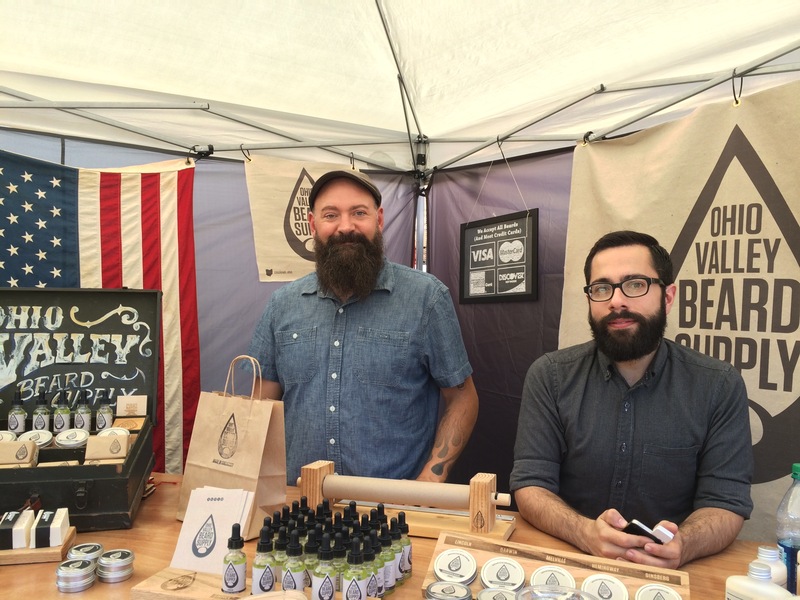 Love to support these guys and buy beard oil for my husband! These cakes are crazy good! Every single flavor is delicious! Another reason to check-out City Flea is the food trucks! These never disappoint. Show up hungry and you can find sweet treats, savory meals, coffee, tea, and beer; there’s usually live music or a DJ, too. Then, there’s the added bonus of the location; the flea market is held in beautiful Washington Park with Music Hall as the backdrop. There are benches by the fountains if you need a break, tables to sit and eat, and the park for kids to play. One of my favorite coffee roasters! If you can’t make it this Saturday, there are three summer dates: June 16, July 21, and August 18. I suggest going early, if you can, to grab a parking spot in the garage underneath Washington Park. Otherwise, you can look for street parking in the area. Bring change for meters. 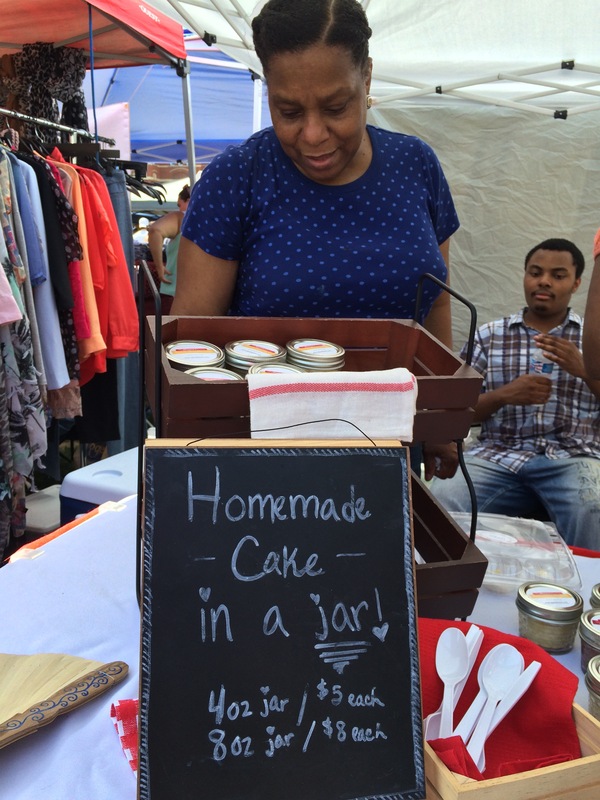 Although many of the vendors at City Flea do take charge cards, having cash on hand is always helpful. If you have a favorite thing to shop for at City Flea, I’d love to hear about it! GO THERE (City Flea)! 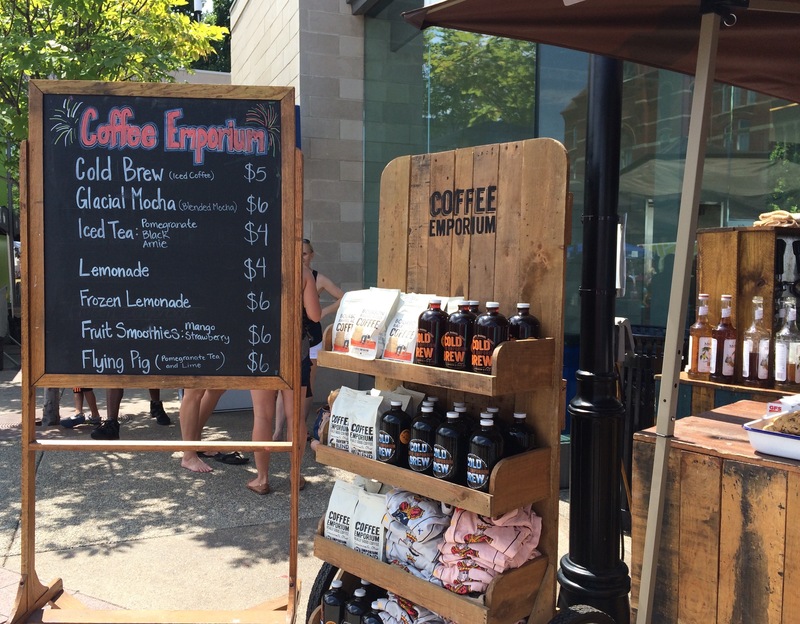 TRY THAT (Freeset bags, Homemade Cake in a Jar, Food trucks)! I am such a fan!! I will absolutely be enjoying more of your delicious treats! Art on Vine – Go There. Try That.